Strahlende Zähnen in einem gesunden Mund! Die erste Konsultation ist kostenlos! Wir bieten Ihnen alles an zum Beispiel eine dauerhafte, kosmetische Zahnheilkunde, wobei der Schwerpunkt auf der Gesundheit und dem Wohlbefinden des ganzen Mundes liegt. Jede Behandlung ist maßgeschneidert. Gemeinsam suchen wir die optimalen Möglichkeiten, besprechen und überlegen mit Ihnen die Behandlungskosten. Wir geben Ihnen immer im voraus eine Preisindikation und bei größeren Behandlungen einen schriftlichen Kostenvoranschlag. Unsere Zahnarztklinik bietet jeden Service für Patienten im Alter von 2 bis 102 Jahre. Die Kosmetik spielt immer eine große Rolle. Wer will den keine schöne weiße Zähne und ein gesundes Gebiss? Wir stimulieren den regelmäßigen Unterhalt des Mundes, die Basis für einen dauerhaften Erfolg. Strahlende Zähnen in einem gesunden Mund! CDS bietet auch eine Faltenglättung und ein Programm gegen Schnarchen an . Alles zu erschwinglichen Preisen. .
We offer multiple orthodontic treatments to help you achieve a straighter smile. There are many advantages to improving the alignment of your bite and the way your teeth relate to one another. Not only does it help you chew and prevent tooth decay, but a straight smile can also boost your self-confidence. Veneers are thin shells made of porcelain that are bonded directly to the front of your teeth in order to perfect your smile. Each veneer is custom crafted based on your individual needs and goals for your smile. 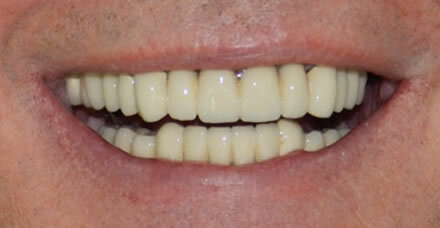 Dental veneers are most often suggested to repair broken, chipped, or irregularly shaped teeth. 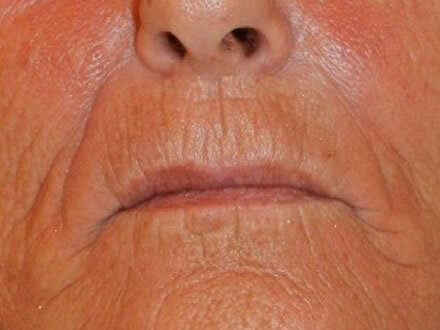 They can also be used to provide an illusion of straightness to slightly crooked teeth and to close gaps between teeth. We offer Quick White Zoom teeth whitening. The Zoom! Teeth Whitening procedure is simple and comfortable. 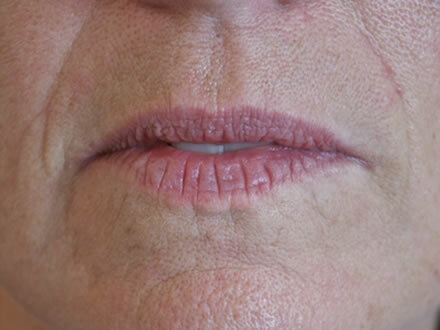 It begins with a short preparation to isolate your lips and gums. Then the proprietary Zoom! Whitening Gel is applied, which is activated by a specially designed light. Teeth typically become at least six to ten shades whiter, sometimes more. A five-minute fluoride treatment completes the procedure. You'll be amazed with the results. In most cases, teeth get even whiter the first few days after the procedure. If you have faced tooth loss and are missing one or more teeth, a dental bridge may be your ideal replacement option. Permanent dental appliances, dental bridges get their name from the way they restore your smile, bridging the gap left by a lost tooth with a pontic, or false tooth. 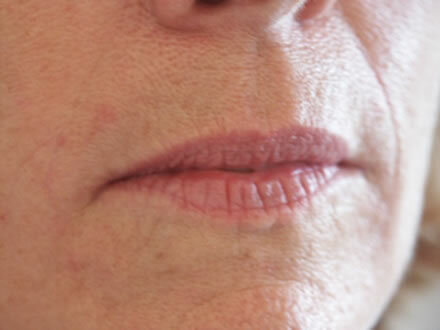 The mouth is an area that’s completely different from the entire body, and it takes quite a beating from the food we eat and the talking we do all day long. And this unique environment requires special care. Teeth cleanings remove the buildup of plaque and tartar. Dentures are different in many ways from other replacement options. 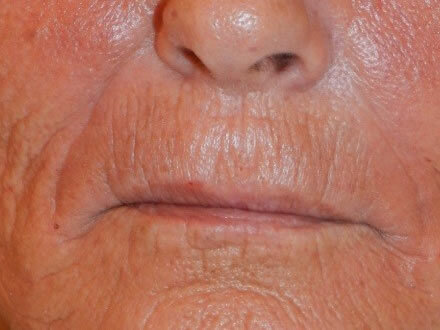 They are completely removable, require no surgery, and are considered more cost effective. 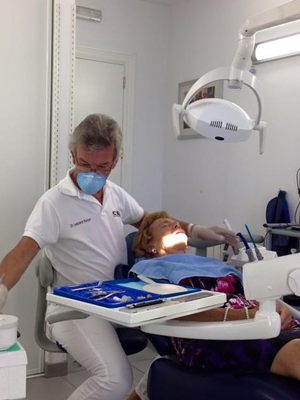 At Clinica Dental Soriano at Marbella, we offer two different types of dentures, full dentures and partial dentures. Full dentures are used to replace all of the teeth in your smile, whether it is in your upper arch, lower arch, or both. Shaped like horseshoes, full dentures are made from prosthetic teeth attached to a pink or gum-colored base that rests snugly over your gums. On the other hand, partial dentures are used when some natural teeth still remain in your smile. Along with a base, a thin metal framework helps to hold the partial denture in place. By using dentures, you will find a reason to smile again. We, at Clinica Dental Soriano, look forward to restoring your smile! Digital X-rays can also be used to plan orthodontic and cosmetic treatments. There are many advantages to using digital X-rays over other imaging systems. They emit a significantly lower amount of radiation, making them safer for your smile and the environment. We can also view the images on our monitors almost immediately, which helps us in explaining the health of your smile to you. We love your smile and do all we can to help it last for a lifetime. At Clinical Dental Soriano we are experienced with working with patients of all ages, including children. We will give you the time and attention you deserve and are ready and willing to answer any of your questions about dental hygiene. 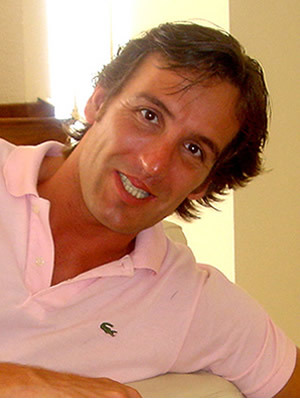 If you would like to learn more about how to take care of your smile at home, we invite you to call us at Clinica Dntal Soriano at Marbella today. We look forward to helping you and your family in any way we can. 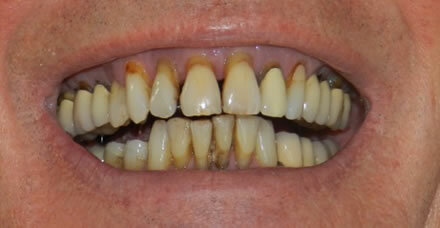 We offer comprehensive treatments for gum disease and other gum conditions. 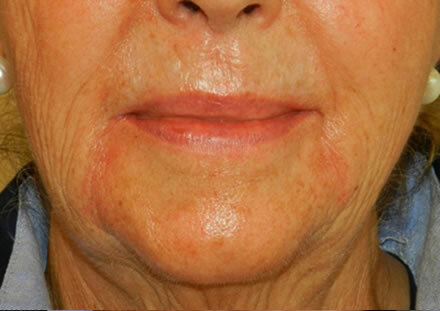 Our most common treatment is scaling and root planing, which are deep cleaning methods. Scaling is designed to remove diseased gum tissue and promote the healthy re-growth of your gums. Root planing smoothes rough patches on your tooth’s surface to prevent bacteria and food particles from getting stuck and causing further decay. We will suggest any other treatments as necessary. In the past, materials such as gold and metal were used for dental crowns. Today, thanks to advances in dental technology, we at CDS Marbella are pleased to offer you and your family high-quality porcelain crowns. Porcelain is durable, strong, and aesthetically pleasing. We are able to match the color of porcelain to your natural smile, or even use it to whiten an extremely dark tooth. Root canal treatment is an endodontic service provided at CDS Marbella to ensure the whole of your tooth stays strong and healthy. Often simply called root canals, root canal treatment deals with infections and decay in the inner portion of your tooth where your dental pulp and tooth nerves are located. This area can be highly susceptible to damage, and severe tooth pain often occurs if decay is left untreated. 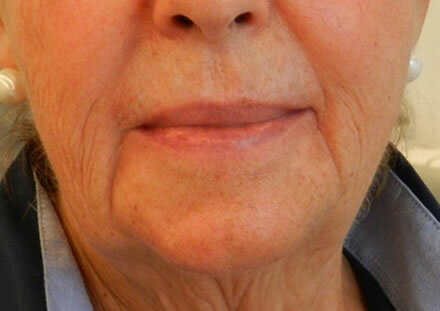 Eventually, both tooth loss and bone loss can occur. Dr.Pelzer offers root canal treatment to save your smile. For most of our patients, root canal treatment is a simple process that is relatively painless. If necessary, our dentist use local anesthesia to numb your tooth and the surrounding area before gently opening your tooth and removing all decay. We also clean out your root canal system. Once prepared, your tooth is filled with a restorative material known as gutta-percha, which is rubber-like and medicated to help your smile heal. To seal off the inner portion of your tooth, we place a dental filling or dental crown. CDS liegt im Herzen von Marbella, in unmittelbarer Nähe des Postamts und der Altstadt. Es gibt genügend Parkplätze in der direkten Umgebung. Wir bitten Sie recht frühzeitig zu Ihrem Termin zu erscheinen, weil wir Wartezeiten vermeiden wollen. In unserem Wartezimmer finden Sie Wasser, Kaffee, Tee usw.. Nach der Behandlung können Sie die Rechnung in bar oder mit Kreditkarte begleichen. Wir nehmen uns viel Zeit für Ihren Besuch und sind deshalb gezwungen einen nicht pünktlich nachgekommen Termin oder einen Termin, der nicht innerhalb von 24 Stunden abgesagt wurde in Rechnung zu stellen. Wir sind telefonisch erreichbar zwischen 10.00 und 14.00 Uhr. In Notfällen oder wenn Sie Ihren Termin nicht wahrnehmen können sind wir für Sie den ganzen Tag erreichbar. Wir heißen Sie recht Herzlich Willkommen in unserer Clinica Dental Soriano und freuen uns auf Ihren Besuch! Lei Pelzer, unser Zahnarzt, hat nach seinem Studium an der Universität Utrecht (Niederlanden) an vielen internationalen Fort- und Weiterbildungen teilgenommen, insbesondere auf dem Themengebiet Kronen- und Brückenbehandlungen sowie auch alle Arten von Vorbeugung und Behandlungen von Parodontal Krankheiten. Die durch ihm gegründete Zahnarztklinik in Utrecht hat sich zu einer sehr luxuriösen und professionellen Klinik entwickelt wo 4 Zahnärzte und 5 Mundhygieniker zusammen mit 10 Zahnarzthelferinnen optimale und komplette Dienstleistungen anbieten für jeden (zahnärztlichen) Bedarf. 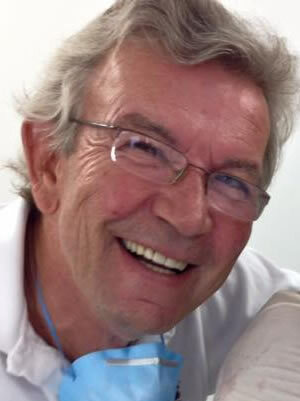 Obwohl unsere “Clinica Dental Soriano” (CDS) klein bleiben wird (wir haben uns entschieden für viel persönliche Sorge und optimale Dienstverleihung in einer ruhigen Umgebung zu sorgen), verfügen wir über digitale und elektronische Mittel aller Art um Kollegen oder Spezialisten zu kontaktieren um uns mit ihnen zu beraten. Robert van Kessel war zuvor als Senior Buyer / Contract Manager für Unternehmen wie Philips Electronics Netherlands, den Rotterdamer Hafen und die SNS REAAL Bank tätig. Nach einer Eingewöhnungsphase in unserer Klinik in Utrecht ist er mit allen Aspekten der Zahnmedizin vertraut. Jetzt ist er für die komplette Verwaltung und Organisation unserer Klinik verantwortlich. CDS bietet Ihnen die ganze Scala von dauerhafte, kosmetische Zahnheilkunde, wobei der Schwerpunkt auf der Gesundheit und dem Wohlbefinden des ganzen Mundes liegt. Dr. Leonard is excellent. He is caring and highly professional, giving personal and attentive service, in a very comforting and welcoming environment. Highly recommended! The best dentist on the coast!! For years i was so afraid to go to the dentist but not with Leo he is great!! Thank you Leo I can smile again and not afraid anymore! Es ist nicht möglich, einen Termin über die Website zu vereinbaren. Wir sind telefonisch erreichbar zwischen 10.00 und 14.00 Uhr.